As the weather transitions in Vegas, I'm slowly breaking out my Fall & Winter finds. This this Smocked Ruffles Blouse (for less than $20) is perfect for a breezy day here in Sin City. It's lightweight enough that I won't overheat when it randomly hit's the 80's in November, but warm enough that I won't freeze in the office or on a nippy day. I've been a little obsessed with this dusty rose color lately. It goes with anything. 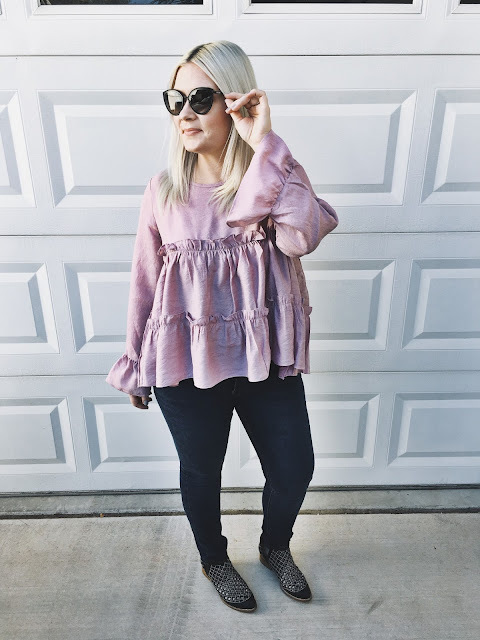 I've been wearing this top to the office, but with the detail of the ruffles and fabulous bell sleeves, I'll probably put this on for an upcoming date night also. 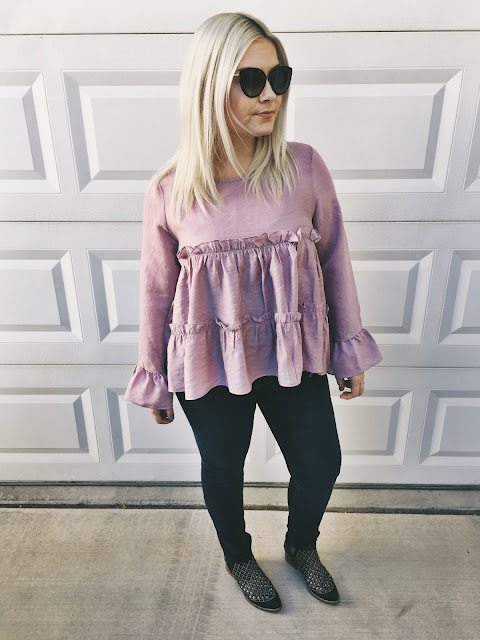 This top is from Zaful, and is one size fits most. I'd say it fits like a medium and would still look great on someone small because of the flattering shape. It has plenty of room in the shoulders for someone that's a size large, too. Have a great week everyone! I love ruffle tops and it looks so good on you. We were in Vegas in December and it gets little chilly there around that time. Thanks so much. And yes it does! People forget it's a desert haha. Have a good week! 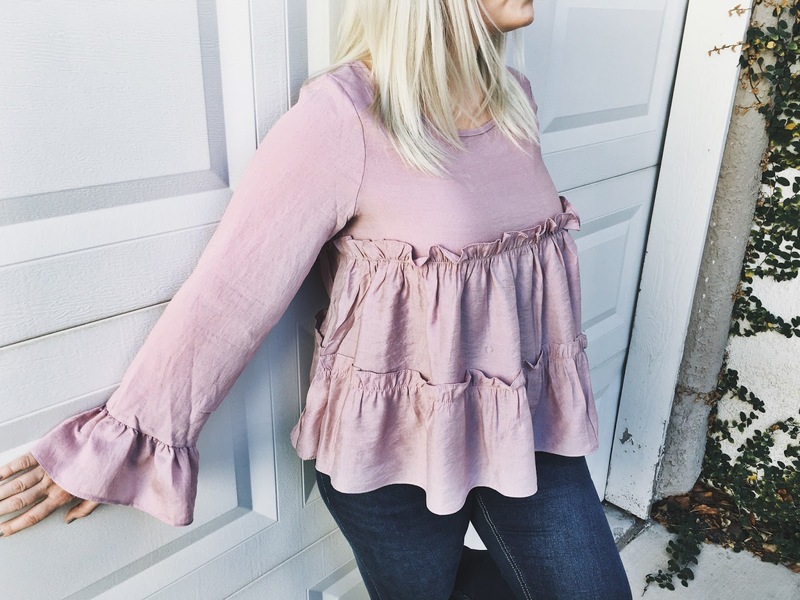 This ruffle top is so beautiful I love the color too. It looks lightweight. Thank you. And it is super lightweight!